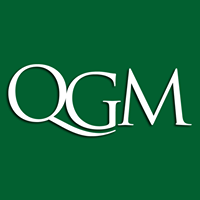 Queen’s Global Markets (QGM) is a premier undergraduate think-tank dedicated to providing the Queen’s student body with knowledge of macroeconomics, capital markets and public policy to understand complex developments across the globe. Our Executive consists of six teams organized by topic: Americas, Asia, Capital Markets, Europe, Fiscal and Public Policy, and Monetary Policy. Each team publishes reports and presentations, which are published on our website. Additionally, QGM hosts weekly seminars featuring insight, analysis, and recommendations on today’s most significant issues. We welcome the public to take part in our dialogue. In an increasingly interconnected, fast-changing, and turbulent macro-environment, globally-minded and economically fluent organizations like QGM are in high demand. Understanding the macro-thesis is imperative to understanding the world. QGM cultivates exceptional individuals to create the premier undergraduate think-tank in Canada. We invite you to read our publications, attend our seminars, peruse our resume book, and apply to join our organization.